Instagram is a popular social media platform for sharing photos and short clips. Like every other popular social media site, users use it not only for sharing eventful moments, but also for advertising their products and services: it has become a business platform. It is deflating to realize that you've lost your Instagram photos either through accidental deletion or because of other reasons. This article explains different methods of how to recover deleted Instagram photos on iPhone XS/XS Max/XR/X/8/8 Plus/7/7 Plus/6S/6/SE. Failed to find lost instagram photos from recently deleted folder? Have no backup files for your missing instagram photos? you can directly recover lost instagram photos on iPhone without backup file using UltData Tenorshare UltData. in following the procedure below. Step 1: Download, install and run Tenorshare UltData on your computer. Connect your iPhone to your computer using a USB cable. The feature "Recover from iOS Device" is selected by default. Step 2: UltData will list all the data types that can be recovered on the interface. Click the checkbox before Photos and App Photos then click Start Scan. Step 3: After scanning, click Photos or App Photos on the lefe pane to all the deleted and existing Instagram photos on your iPhone. Check those you want to recover and click Recover to get them back. If you have iTunes/iCloud backups, you can also get lost data from backup files. Since the traditional methods of restoring data from iTunes/iCloud will erase all the data on your iPhone. You can use UltData to selectively restore Instagram photos on iPhone from iTunes/iCloud backup. Run Tenorshare UltData > Select "recover from iTunes backup file" mode > Select iTunes backup >Click "Start Scan" button. Preview and click on "Recover" button to restore your lost Instagram photos. Select "recover from iCloud backup file" mode > Log in to your account >Select file type and click "next" to download your lost Instagram photos > Click "Recover" to get them back. Want to know how to recover deleted Instagram photos iPhone? 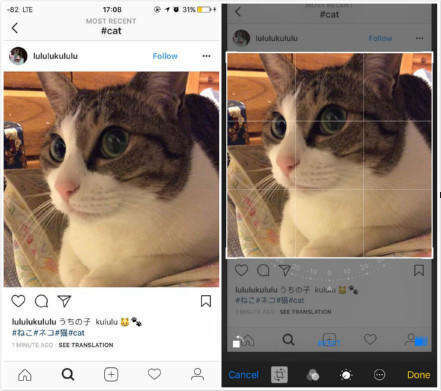 You can easily do so by utilizing the Instagram album located within iPhone's Photos native app. Follow the procedure below. Step 1: Launch the Photos app from your home screen. Step 2: Tap the Instagram album and open. Step 3: Upload the photos you accidentally deleted. 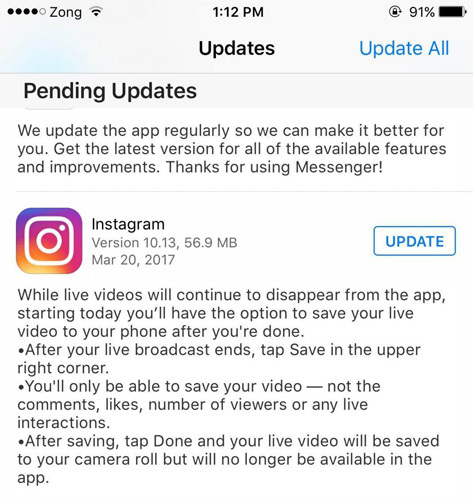 Instagram launched the 'Archive Posts' feature in 2017 which allowed the users to hide any photos and stories from being seen by anyone. And it also allowed the restore of any 'deleted' photo from archive album. To recover Instagram photos on Instagram, follow the procedure below. Step 1: Open the Instagram app on your iPhone. Step 2: Go to your profile and tap the Archive icon. It looks like an arrowed clock. Step 3: Select the photos you want to restore and tap Show on Profile. Another method to recover deleted Instagram photos iPhone is by using the Recently Deleted Folder located in the Photos app. Follow the procedure below. Step 1: Open the Photos app from the home screen. Step 2: Tap Albums located on the bottom right corner of your screen. Step 3: Tap the Recently Deleted folder. Step 4: Select the photos you want to recover and tap Recover. If you would like to delete your Instagram account, follow the procedure below. Step 2: Tap the Profile icon; it's located at the bottom right of your interface. Step 3: Tap Settings > Help Center > Basics > Getting Started > Delete your Account > How do I delete my account. Step 4: Key in your Instagram account information, give or select a reason for your deletion, type your password, tap Permanently deactivate my account then tap OK to confirm deletion. To restore deleted Instagram photos iPhone, follow any of the methods described above. We recommend that you use Tenorshare UltData since it allows you to preview and selectively recover deleted Instagram photos with or without iCloud or iTunes backup files.